We’ve seen a rise in integrated social media campaigns in the country that are run in tandem with traditional mediums for a bigger impact. Brands ranging from FMCG to television, telecom, ecommerce, insurance and banking have chosen to experiment and innovate their social engagement levels using storytelling. The year has begun with many firsts in the social media space – first global Twitter recruitment, first digital video commercial, first fully-integrated social bank account, first women only web experience and more. Here is a random list of 10 of the coolest Indian social media campaigns of Quarter 1, 2014, that have caught our attention for being well aligned to their goals, while also creating engaged communities on social. 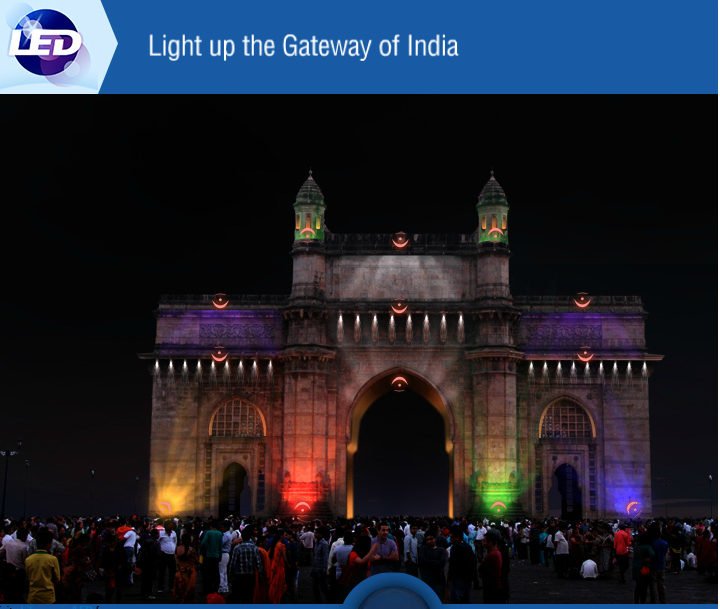 LED lighting solutions brand, Philips Lighting teamed up with MTDC (Maharashtra Tourism Development Corporation) to illuminate Mumbai’s most iconic monument, The Gateway of India, with its advanced LED lighting systems having a 16 million colour palette. Bringing to action its message of ‘see what light can do’, the brand ensured the event involved everyone in the city through offline and online ways. After live streaming the illumination through a microsite, a Facebook app was created where fans could experience the lighting themselves. This Valentine Day, Cornetto had launched the Cornetto Cupidity Call Centre as a dedicated website and a Facebook app where the icecream brand’s community could do something cupid. One could enter their dedications of love at the centre, and cupid would sing it and create the ‘My Cornetto Valentine Song’. Social media was leveraged to drive fans to the call centre; the extensive co-creation campaign had close to 3650 song videos generated within a record time of 3 days. When the horror drama TV series “The Walking Dead” was to be telecast in India on Fox Traveller last month, the channel initiated some pretty scary events on social media. Fun zombie pranks were carried out in a photo booth and the city, announcing the arrival of the zombies. The zombie attack videos were then shared with fans, in addition to contests on the videos. Fans were invited to contribute with their ideas of an Indian zombie and personalized zombie memes were created for them. For the promotions of the MTS 3GPlus network, the telco had launched the MTS Internet baby who is born for the internet with an endearing and smart TVC targeted to the digital natives. The MTS Internet baby is shown cutting the umbilical cord at birth, to taking a selfie and posting it on Instagram, creating a video on YouTube among other digitally savvy behaviours. The film was first premiered as a leaked bit torrent before being shared on social networks or television. The internet baby has been sharing his updates on the brand’s pages since then. Cadbury 5 star had launched an anti-seriousness campaign called ‘Inki Condition Serious Hai’, where ‘seriousness’ is considered a social disease that needs to be eradicated with the chocolate bar. The 5-day blogging contest invited bloggers to blog about their encounter with someone or something whose condition was serious. This was accompanied by Facebook and Twitter contests inviting the community to share about ‘serious’ people using the campaign hashtag #ConditionSeriousHai. As an extension to its ‘speechless’ TVC, Asian Paints had launched the ‘‘The Royale Aspira Beyond Words’ Twitter contest. The 2-day co-creation campaign invited users on Twitter to share what made them go speechless. The best tweets were then converted into mimes dedicated to the creator of that tweet and shared in real time. 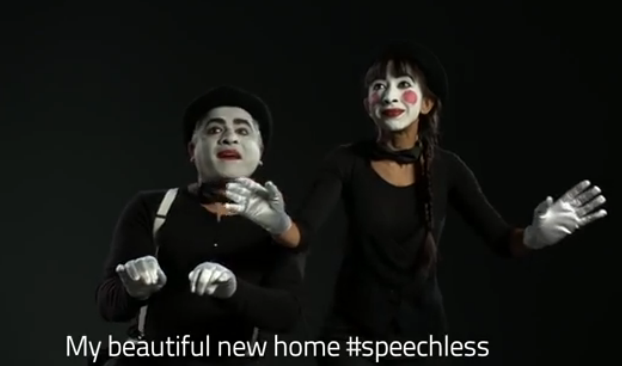 As per a Campaign India report, 75 mime videos were created from close to 11K tweets received. 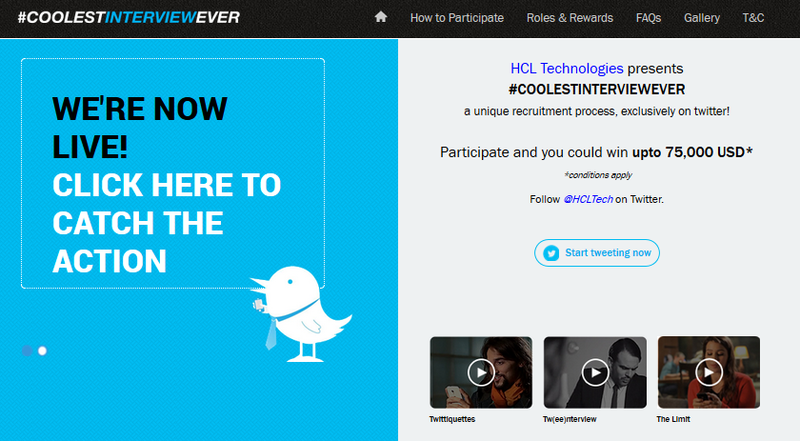 HCL Technologies had launched a global talent hunt for the coolest IT professionals through a unique 3-week recruitment campaign on Twitter – “#CoolestInterviewEver” contest, powered by a microsite at its core. Applicants needed to follow the company on Twitter and answer 6 questions to register themselves, while the process of evaluation and selection was carried out by HCL HR executives completely on Twitter, including the one-on-one interviews with the top five applicants. Center Fresh had launched the ‘Yeh Wala’ campaign in which the chewing gum brand took a jibe at how various ads sell products. Aligned with the brand proposition of “Zubaan pe rakhe lagaam“, the message has been well extended onto social media with the use of #YehWala hashtag. A contest run simultaneously on Facebook and Twitter invited fans to write funny taglines under a specific given theme, starting the tagline with the campaign hashtag #YehWala. 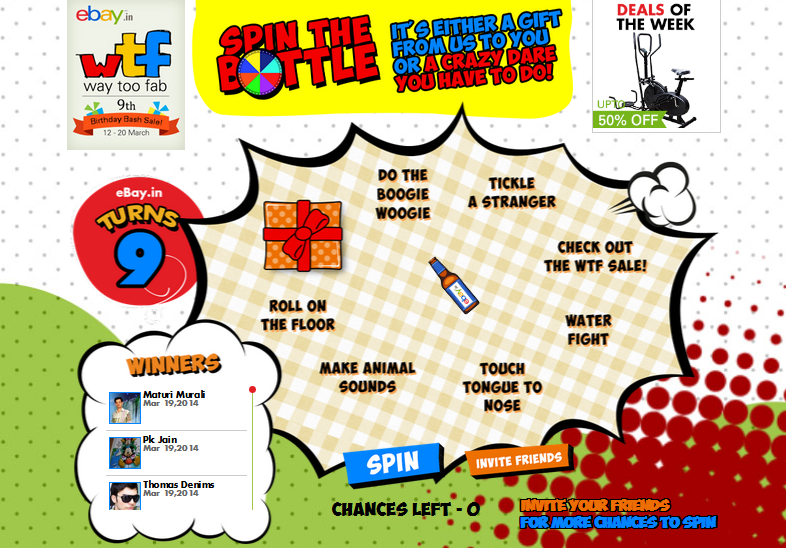 When eBay India, one of India’s leading online marketplace in India, turned 9 in March, it launched a 9 day long birthday celebrations campaign called ‘Way too Fab’ that included party games hosted on a dedicated microsite. One could log in with their Facebook or Twitter accounts and play a different game every day to win eBay coupons, gifts, etc. With fun games like Spin the Bottle and #WTFSelfie, selfie contest on Instagram, the ecommerce brand managed to create a fun virtual birthday bash for its community.